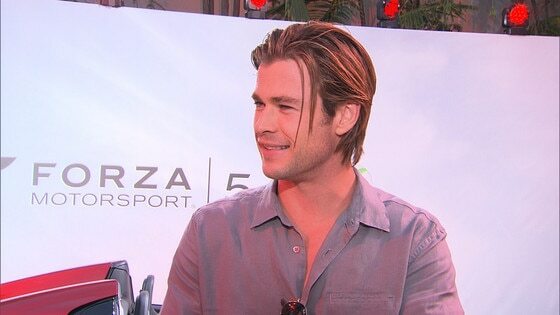 Chris Hemsworth Says Parenthood Changed Him "for the Better"
Chris Hemsworth loves being a dad. The actor chatted with E! News last night at the XBox E3 party in Los Angeles about parenthood and what he's got planned for Father's Day this Sunday. "I think I'll be working," he told us. "But I'll see her at some stage, definitely, have breakfast or something," Hemsworth added. "She's a bit young to make me breakfast. She's only 1." Although little India Rose can't whip up a batch of pancakes or cook her dad a nice omelette just yet, she's made a strong impact on her pops from the moment she entered this world. "Yeah, for the better," the actor said in response to whether fatherhood has changed him. "It puts things into perspective." For more celebrity interviews, tune in to E! News weeknights at 7 p.m. & 11:30 p.m. PHOTOS: Take a look at some of Hollywood's hottest dads!